After a rather long hiatus, I recently began running again. Well, I would call it running because my feet move faster than usual. The casual observer, however, might describe it more as a particularly fast walk or, perhaps, loping. It's not that I ever really decided to stop running in the first place. 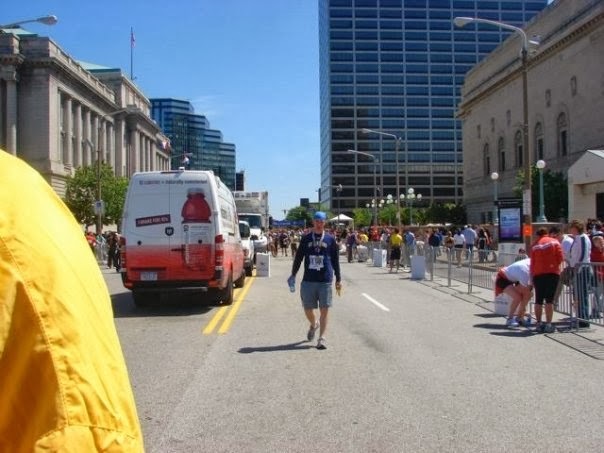 In May 2009, I ran the Cleveland Marathon and continued to run throughout the summer. As I began teaching that fall, I found I had to get up very early if I wanted to get an appreciable run in each day. With the onset of winter, I found it increasingly difficult to navigate seldom-shoveled sidewalks and poorly plowed streets. In addition, I had found other ways of exercising (yoga, the Insanity workout program) in my room. I don't know that I suffered physically from this abandonment: my cardio health is strong, I maintain a healthy weight, and overall am in good health. That said, I do know that the years of exercising in my room has not been ideal. When I think of it, I'm quite certain it has been spiritually draining. For, when I began to think about it, I realized I have been living an increasingly monastic existence: within my room, I pray, sleep, read, write, relax, practice music, and exercise. Part of this is a consequence of being in graduate school, to be sure. And yet, I long for the days when I'd go for long-runs with friends: we didn't have to talk to one another as we ran, but it was great simply being together. On December 28th, I took a notion to run the 4.8 miles from my sister's house to my parents'. In terms of endurance, it wasn't a huge problem - as I said, I'm in pretty good shape. In terms of my legs, well, let's just say that Saturday and Sunday saw me limping quite a bit. Yesterday I made it up to six miles on a treadmill and today I'm feeling pretty good. Indeed, I'm hoping to go for a five-mile run with a friend later today. 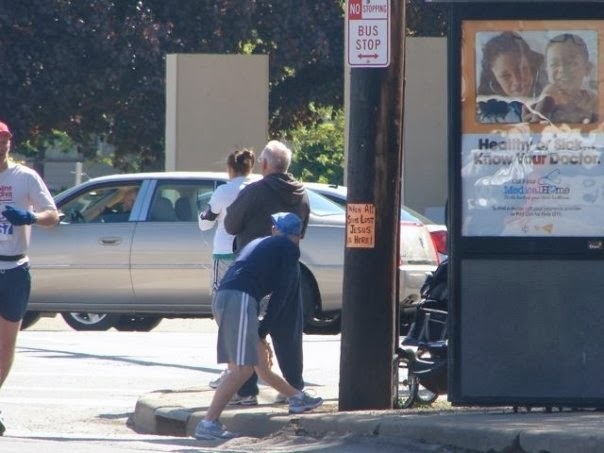 What I loved, and have missed about the discipline of running, has been exactly what I love about the life of prayer: I seldom want to do it before I begin, but once I start, I'm glad I did. It's hard to put on the shoes, or take those first steps out into the cold. It's hard to carve out the time to pray, or to quiet oneself when there are "so many important things" in need of doing. And yet, once my feet hit the pavement, or my heart quiets down, I know that there's little else I'd rather be doing at that moment. I'm blogging about this as much to give an update in my life as to break the blogging drought: when I'm on vacation, I try to unplug as much as possible from the world and spend time reading and thinking. As we gear up to return to classes, I'm sure I'll be more disciplined in my writing.